Quick confession, the title is a tad misleading. 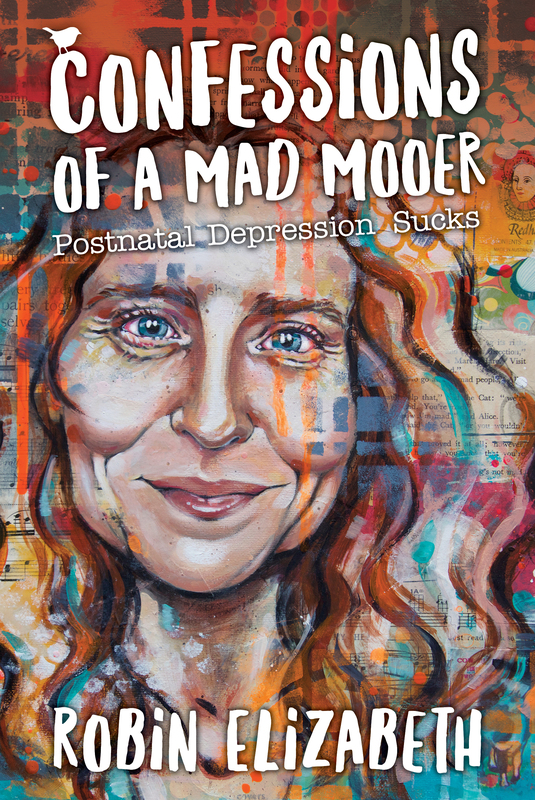 My blog posts on postnatal depression, which I always start with Confessions of a Mad Mooer, are not being converted into a musical… but I have used them as a basis for a book! That’s right, a book. I have written a book about my journey through postnatal depression mainly focused on my month long stay in a psychiatric hospital with my twins when they were newborns. My first blog entry on this can be found here. And the good news is, that you will be able to get it in both print and e format. So in honour of Postnatal Depression Awareness Week, which starts today Sunday the 13th of November, I am doing a dramatic cover reveal even though my book is not due to be released until December. TADAH! Look at her. Isn’t she magnificent? The art and cover design were done by Sally Walsh from Sillier than Sally Designs. I’ve never loved an image containing my own melon so much. I simply showed her the linked blog post, said that the picture in it represented my time in the psychiatric hospital, mentioned that I liked orange and birds, then asked if I gave her monies could she give me a cover. She said yes and managed to create this amazing piece of art. Confessions of a Mad Mooer will be out in December. Talk about the perfect Cristmas gift for the hot mammas in your life. Keep your eyes on this page for more information coming up about the release of my memoir about postnatal depression and my month long stay in a psychiatric hospital. Excerpts and giveaways are coming your way this week, I promise. I will be doing a blog post about postnatal depression everyday this week as a nod to Postnatal Depression Awareness Week. Please do check in regularly or all the news. For more information on Postnatal Depression Awareness Week please go here. And as always, any women who suffer from any form of depression or anxiety are welcome to join my own FB girl-tribe group which is pro mystical troll but doesn’t allow any nasty trolling. Pingback: Wanted: manuscripts seeking a fresh set of eyes – Dynamic Canvas Inc.